Many businesses generate huge income through offering a shopping experience to their visitors. Apart from selling hard (physical) goods, these business offer soft (downloadable) products as well as different electronic services. No matter what kind of product you’re dealing with, ecommerce can significantly increase your income, cut your business’s overheads as well a help you reach your future and current clientele. Good news is that the whole process doesn’t necessarily have to break your budget. You can accomplish the whole task and get your website live at $0 – $30 per month. Isn’t it great? So, in this post I’m going to provide you with a detailed step-by-step guide on how to launch an estore in 15 minutes using MadeFreshly which is a lightweight eCommerce website builder. I’ve chosen this site maker as they offer a free version and an excellent user experience. I’ve taken advantage of the both benefits in order to make screenshots to illustrate this post :). So, let’s begin. 1. Create an account with MF. The process is absolutely painless and can be accomplished in a split second. No credit card data required. 2. Access your dashboard and adjust your website’s settings: enter your site name and domain name. In case you’re going to use their free version, you’ll be tied to their subdomain (yoursitename.madefreshly.com). However, you can also attach your own domain name, if you have one. It’s important to note that custom domain option is available within paid packages only. 3. Pick and adjust your theme. There are both free and paid designs on MadeFreshly. They’re easy to customize and can help you create an impressive, fresh and professional-looking estore. 4. Upload your goods. 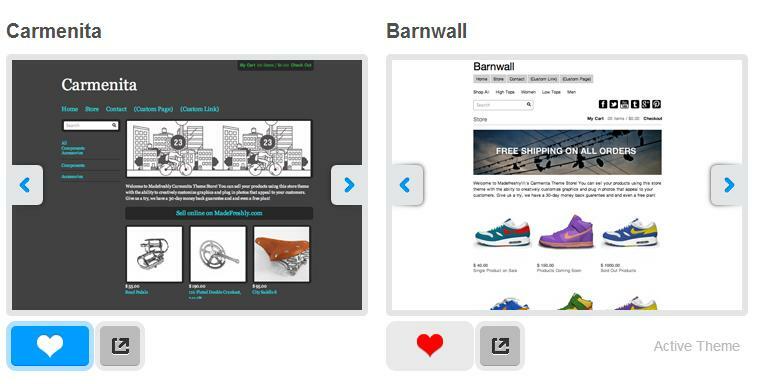 Now it’s time to fill your website in with your products. Just add the images, think up catchy descriptions, set up payment options, shipping details and product status (Coming Soon, Sold Out, Live, Hidden). You can also set up product size, color, length and other options to choose from. 5. Create promo codes. In case you’re willing to offer some of your products at a discount, MadeFreshly will help you accomplish this task hassle-free. By the way, website launch can be a good reason for generating promo codes :). Your website is ready! Preview it and go live simply by clicking the ‘Publish’ button. Remember to advertize your business both offline and online. You may also consider strengthening your brand identity. 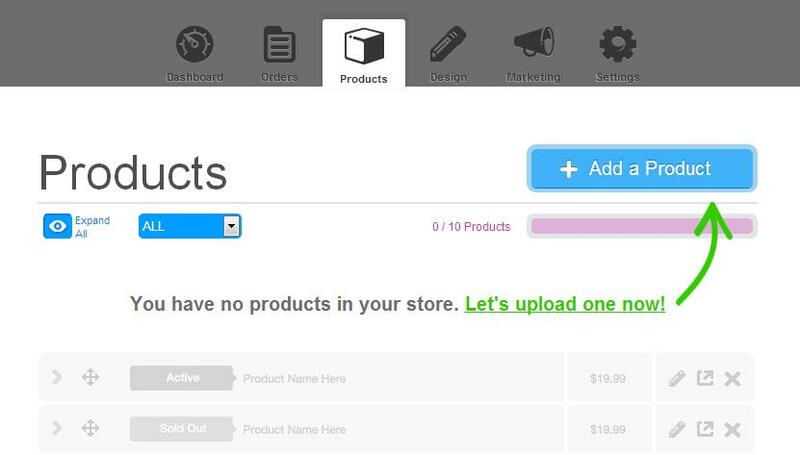 MadeFreshly is a lightweight website builder that is geared towards creating simple estores only. It’s targeted at creative folks and independent professionals (handcrafters, painters, tailors, designers) who’d like to sell up to 500 products online (500 items is the maximum number). Because its interface is maximally simplified, it can be used by the novice. However, if you don’t mind writing a few lines of code, you will find their HTML Access option very handy. Ability to access your site’s source code is available in Choice ($19.99/month) and Prime ($34.99) packages. This is really great post.Very detailed! Thank you for sharing this very informative post. I’ve learned something from this.